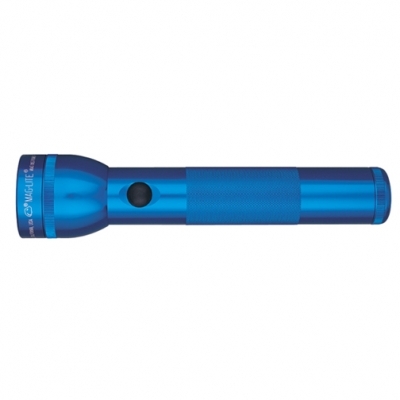 MagLite® LED Flashlight with your Corporate Logo Permanently Engraved on the Handle! The Mag-Lite® LED is the brightest flashlight you have ever seen with only 2 D batteries. We laser engrave your logo on the handle or on the head. Previously labeled as SKU 2DLED. The new SKU is ST2D. The world famous MagLite®; is now available with the new Mag-LED® technology. 3 watt LED. Brightness like you have never seen before is in the Mag-Lite® LED Flashlights. 10" In length. Requires 2 “D” cell batteries, not included. Comes in a 4 color chipboard gift box. Colors: Shown above in the color selection menu. Approx. imprint area: Barrel: 1"H x 2 1/2"L. Head: 1" H x 2 1/4"L.
Note: A large number of people google the incorrect spellings, but all these wrong spellings lead them to us. Examples are: maglight flashlights, meg-lites, and mag lights. We don't judge you on how well you spell. We just want to give you the best product and the best service. We don't make these jems, but we decorate them with your logo. Advantage Advertising, LLC is not affiliated with Mag Instrument, Inc., which owns the famous MAG family of trademarks, including MAGLITE® and MINI MAGLITE®, trademarks in the distinctive shape, style, and overall appearance of its flashlights, and in the circumferential inscriptions around the face caps of all of Mag Instrument, Inc.’s flashlights.